One definition of imagination is "the ability of the mind to be creative or resourceful." While it is that, imagination and creativity are seen as so much more in many religious and spiritual traditions. In some Christian thought, imagination and creativity can be seen as the place where the Imago Dei resides in each of us. In some Jewish thought, the yetzer, or human imagination, is vital to the ability to look beyond the flaws of our current existence and experience the "Kingdom of Heaven" here and now. In some Buddhist thought, imagination is key to enacting the four noble truths of Buddhism and is required to truly perceive our existence. Considering the many ways that imagination and creativity can enhance our spiritual and physical existence can open up new ways to think about interactions with our care recipients and how we care for ourselves. 1. Consider imagination and creativity as a theological concept in various religious and spiritual traditions. 2. Understand how imagination and creativity can deepen our interactions with our care recipients. 3. Identify several creative practices that can be used with care recipients, and others that can be used for self-care. Heather Baggett MDiv BCC is a chaplain of the Women's and Children's Units and the Transitional Care Unit at CHI St. Alexius Health in Bismarck, ND, working on the Women's and Children's Units. As a chaplain, Baggett integrates her own creativity, innovative use of tradition and respect for diversity to assess and help meet the spiritual needs of patients, families and staff. She holds the belief that true healing only comes from treating the whole person - physically, emotionally and spiritually. 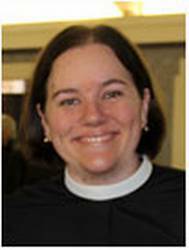 Ordained in the Episcopal Church USA, she is a BCCI board certified chaplain and member of APC.